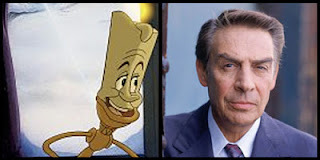 American actor and singer, he was well known for his roles as Detective Lennie Briscoe in Law & Order from 1992 to 2004, Harry McGraw in the hit series Murder She Wrote 1985–1991 and as the voice of Lumière in Disney's Beauty and the Beast. Perhaps not as commonly known, Orbach was also a noted musical theatre star. Prominent character roles that he originated include El Gallo in The Fantasticks (the longest-running musical play in history), Chuck Baxter in Promises (for which he won a Tony Award), Julian Marsh in 42nd Street; and Billy Flynn in Chicago. In early December 2004, it was announced that Orbach had been receiving treatment for prostate cancer which he had been living with for 10 years previous. He died at the Memorial Sloan-Kettering Cancer Center in New York on December 28, 2004. The day after his death, the marquees on Broadway were dimmed in mourning, one of the highest honors of the American theatre world. One of his wishes while he was alive was to have his eyes donated after his death. In death he helped two people – one who needed correction for a nearsighted eye and another who needed correction for a farsighted eye.